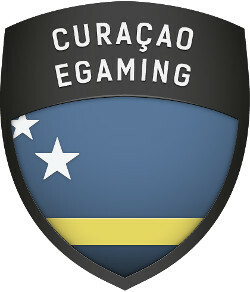 The Curacao e-Gaming Licensing Authority started in 1996. Curacao was a part of the Netherlands Antilles at the time, but in 2010 when they dissolved, Curacao became its own country and continued offering licenses through the same authority. They are recognized as being a favorable jurisdiction for a lot of companies because of their low tax rates, and they’re recognized for being fairly strict with how they enforce compliance with their terms, conditions, rules and policies of their licensing agreements. What’s more is that they have a very flexible licensing setup that offers different types of licenses for different types of operations. There are basically two types of licenses here. The first is a master license, and the second is a sub-license. If you have a master license, then you can issue sub-licenses to different parts of your own business for the purposes of structuring, and that helps large companies to stay organized, especially if there are several different sites running under the same operator or some similar type of scenario. They were one of the first places to offer licenses for online gambling, and this approach to offering two levels of licenses show how experienced they are in understanding how the business works. It’s important to realize that e-gaming is a huge part of the economy of Curacao, so they have created a lot of tax incentives for companies to come there. Right now, they have a special corporate income tax of only 2 percent with a 0 percent tax on gross incoming wagers, and this deal lasts until 2026 with no other taxes attached. This is one of the most favorable tax structures available to online gambling companies in the world right now, and it’s all about Curacao bringing in businesses and keeping their economy booming in the process. Curacao’s economy depends on Internet gambling to a large degree, so it’s important for them that the world knows they have a reputation for taking care of their licensees and the players who enjoy the sites that are operated by their licensees. If players have no faith in the Curacao license, then they won’t play with sites licensed here, and that hurts them in the long run. For this reason, they’re fairly strict about enforcing their policies and rules, and they have pulled licenses in the past in response to shady types of behavior. Along these lines, you can trust sites that run with this license.